David Newman (left), Hanah Newman (right) and Tyler Murphey (not pictured) were honored as Agricultural Innovators in Leon County by Molly Jameson, Leon COunty Extension (center). 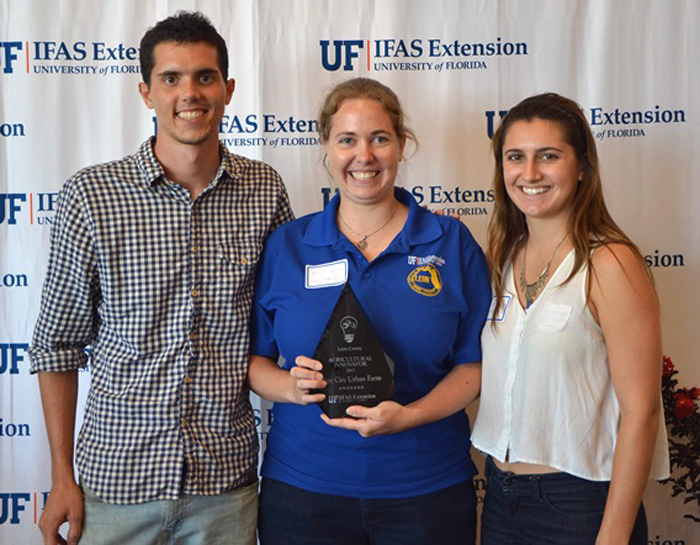 On Tuesday August 4, 2015, twelve Innovative Farmers and Ranchers were recognized by University of Florida IFAS Extension and Farm Credit of Northwest Florida at the Jefferson County Opera House, in Monticello. This is the fifth year these two organizations have teamed up to honor a selection of the most innovative farmers from the Florida Panhandle. The purpose of the Agriculture Innovator Recognition Program is to annually recognize innovative farmers and ranchers from 16 Florida Panhandle counties, from Jefferson west to Escambia County. In 2015, County Agriculture Extension Agents selected 12 Agricultural Innovators to be recognized. All of the county honorees have distinguished themselves as creative thinkers and leaders in the agricultural community. Hanah Murphy, David Newman, and Tyler Cooper, from Tallahassee, Florida were honored as Agricultural Innovators in Leon County by Molly Jameson, Leon County Extension. 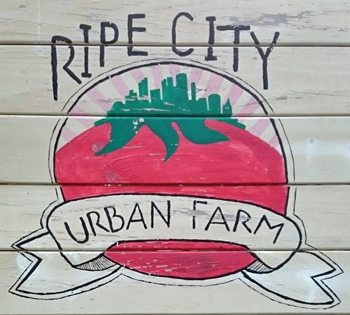 Read the story of Ripe City Urban Farm below. Agricultural Innovators from other counties will be featured in Panhandle Ag e-News over the coming weeks. 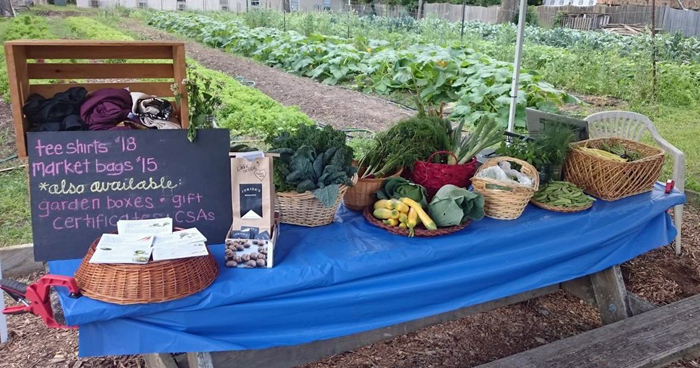 Ripe City Urban Farm is one of Tallahassee’s only urban farms. Situated in the heart of mid-town, the quarter of an acre growing space produces a true diversity of fresh vegetables to local residents. The farm is operated by Hanah Murphy, David Newman, and Tyler Cooper, who are all current or recent graduates of FSU. Hanah received her degree in Environmental Science and Policy and has a strong passion for local food systems and community engagement. David will be graduating this summer with a degree in Geography, and has in the past worked on urban farms throughout the country, gaining valuable small farming experience. Tyler, or “Coop,” grew up on a fruit and vegetable farm, which also raised alpacas and chickens. He studied Management Information Systems and is mostly “behind the scenes” handling the Ripe City website and finances, but also assists with the farm stand and farming activities on the weekends. Before the farm became Ripe City Urban Farm, it had previously been the site of Ten Speed Greens, where Hanah interned for 6 months, quickly building her knowledge of sustainable agricultural production methods, which have contributed greatly to the current success of Ripe City. website. Additionally, David constructs Ripe City raised beds, which are available for purchase on the website. Along with the construction of the raised beds, David will install the beds for clients, including delivery and set-up, and will also supply mushroom compost for the raised beds. Beyond the Farm Stand, Ripe City also participates in Tallahassee’s Red Hills Online Market (RHO Market), which was created in 2010 by the Red Hills Small Farm Alliance (RHSFA) as a means to strengthen the small-farm community and expand the local food market to more citizens within our region. Ripe City also sells fresh produce to many local restaurants, including Cypress Restaurant, Liberty Bar and Restaurant, Vertigo Burgers and Fries, Sweet Pea Café, and Bread and Rose’s Food Cooperative. They have plans to begin dedicating part of their growing space exclusively to local chefs, where they can specialize in many unique vegetable varieties that the chefs request. 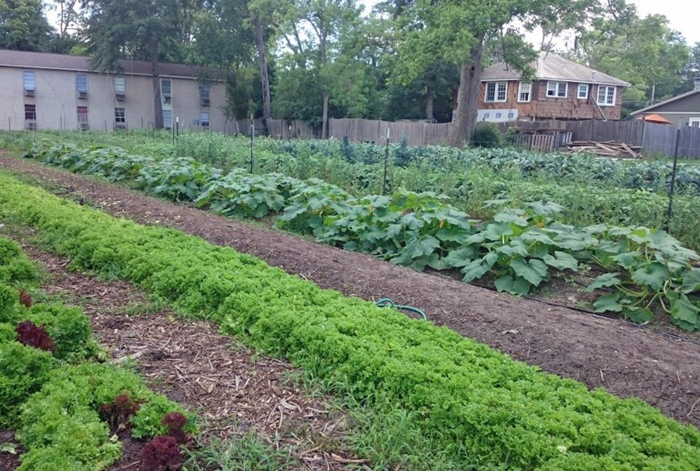 Ripe City has a very diverse cropping system, where they grow dozens of vegetable varieties, such as a diversity of lettuce, sugar snap peas, beans, carrots, beets, kale, onions, and much more. They also have a bee hive on site for improved pollination of their crops. 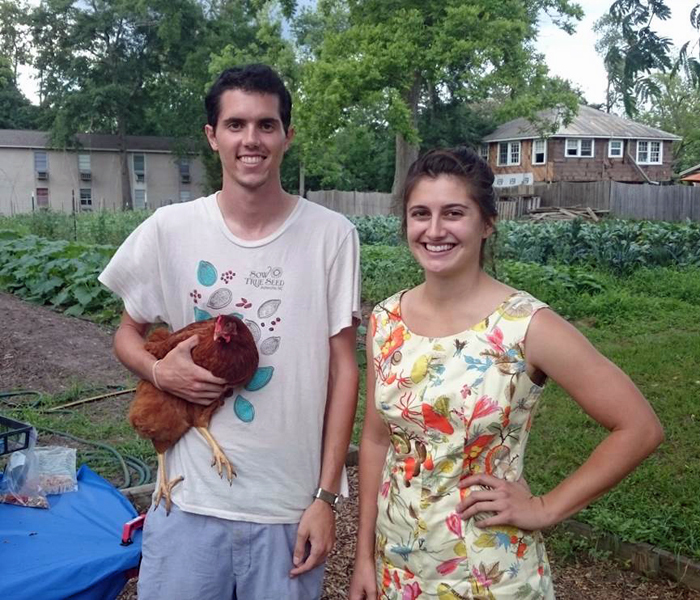 Hanah and David have worked with Extension through the recently developed Food Policy Council and through the Tallahassee Food Network; both aim at developing tools for strengthening Tallahassee’s local food systems. Hanah is the Structure Committee Lead for the Food Policy Council, and both Hanah and David have worked with Extension in promoting local food systems through collaborations via the Tallahassee Food Network. They have also participated with Apalachee Beekeepers Association meetings and have attended permaculture classes taught by Will Sheftall, the Natural Resources Extension Agent. In the future, they are very interested in hosting field days and workshops in conjunction with Extension. Along with being the Structure Committee Lead for the Food Policy Council, Hanah also recently became the Assistant Market Manager for the RHO Market, where she organizes orders, checks farmers in when they deliver their produce to the distribution center, and greets RHO Market customers. David has volunteered his time at iGrow Whatever You Like, the Frenchtown-based youth empowerment and urban agriculture program, has facilitated Tallahassee Food Network meetings, and stays highly engaged in community events pertaining to local food initiatives. Hanah, David, and Coop are part of the RHSFA and are highly motivated to employ sustainable agricultural production practices, such as precision water management using drip irrigation, crop rotation, cover crops, composting, and use of mulch for erosion control. Hanah and David attended the Sustainable Agriculture Research Education-run Southern Agriculture Working Group Conference in Mobile, Alabama, in January, in order to obtain more knowledge about sustainable Hanah, David, and Coop are part of the RHSFA and are highly motivated to employ sustainable agricultural production practices, such as precision water management using drip irrigation, crop rotation, cover crops, composting, and use of mulch for erosion control. Hanah and David attended the Sustainable Agriculture Research Education-run Southern Agriculture Working Group Conference in Mobile, Alabama, in January, in order to obtain more knowledge about sustainable agriculture production practices, and to connect with other farmers and agriculture educators in our region.